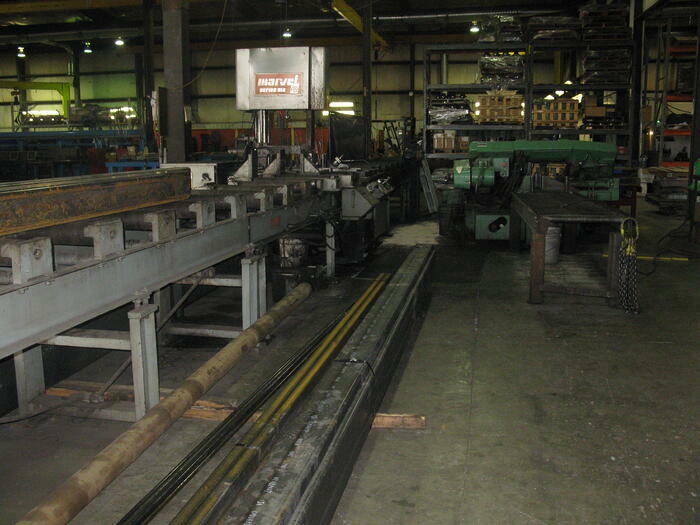 We offer four cutting options capable of handling a variety of materials and sizes. Our 6,500-watt laser cutter features a 6'x12' table capable of handling up to 70 6'x 12' sheets and material up to 1.25" thick. 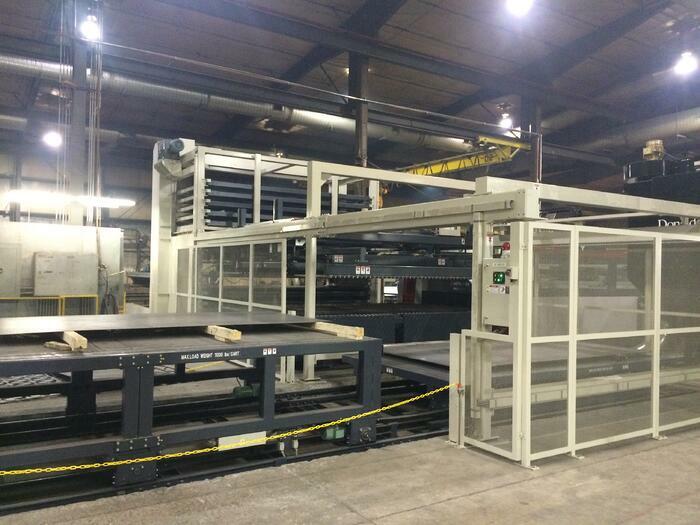 An automated plate loader enables one semi-load of steel be placed in a connected loading rack. 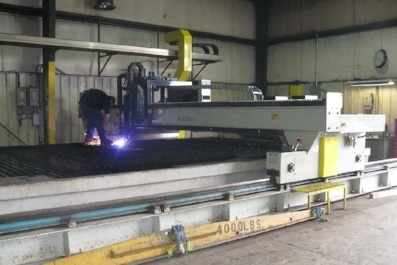 When cutting commands are made, the machine will automatically pull specific sizes of material from the loading rack, making burns to your exact specifications. Up to 48,000 pounds of material can be processed in just 24 hours. 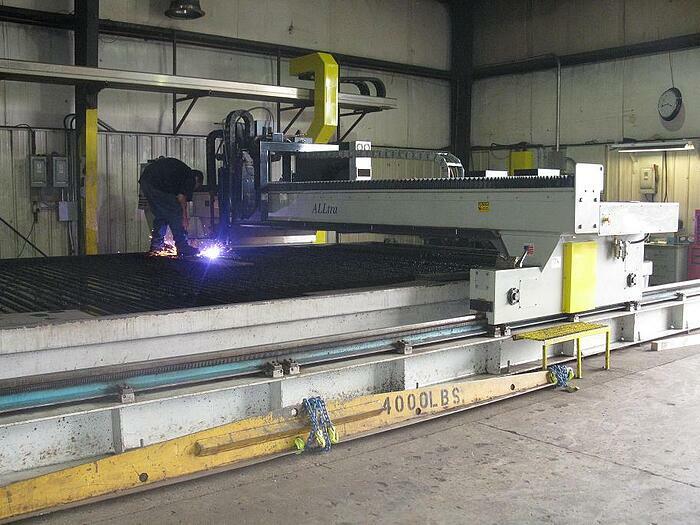 For longer material, our plasma cutter can handle pieces from an eighth-inch to three-quarters-inch thick and 40 feet in length. 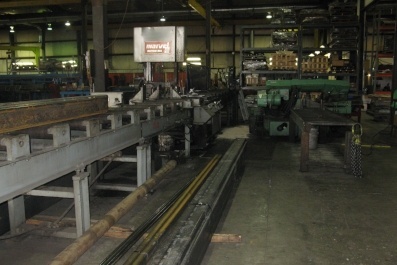 Whole plates of material can be burned to create strips for booms and other large-scale equipment. Our oxy-fuel torch is designed for cutting one inch to six inch thick material – perfect for larger pieces. 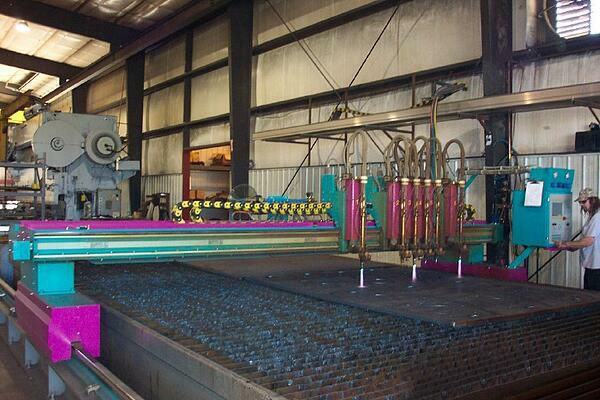 Plates can be cut from 8-feet wide to 40-feet long. Vertical and horizontal bandsaws can saw up to 12 inches in diameter for simple, straight-forward cutting. Need professional cutting services for your next project?